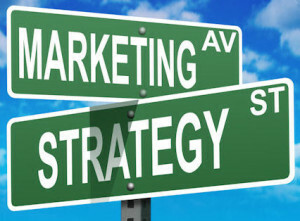 Technology plays important role on marketing strategy for hoteliers. This trend has been followed by Hotel Tonight by making the latest innovation featuring higher resolution images for the new iPad. Of course, in iPad, every image is displayed using Retina display technology. In general, Hotel Tonight is a website app allowing users to book hotel rooms in the same day without discount price available up to 70 percent less in more than 30 cities in United States including Washington D.C., New York, Chicago, Boston and San Francisco. The new feature also let the users of iPad to use Hotel Tonight app to the fullest. At noon, usually Hotel Tonight offers the same day hotel deals in different categories including Basic, Hip to Luxe. The rooms are available until 2 am in each destination’s time zone for those who are interested in booking one. Another advantage offering here is that the app also features the hotel profiles displayed in the infinite user interface. This kind of interface is affirmed as the good interface for big screen smartphone users although it will be little rushed. The Lead iOS Developer for Hotel Tonight, Ray Lillywhite said that this company still has high ambition for the app which will be completely customized in a complete UI. He also stated that Hotel Tonight needed just short time to turn the idea into a masterpiece. This app for iPad was built in the middle of December last year. Their team has worked hard to take out this app than usual and get every detail right in due time. After seeing the complete project, the developers were very happy with the results. CEO of Hotel Tonight (http://www.hoteltonight.com), Sam Shank (http://www.linkedin.com/in/samshank) said that they believe in the last-minute hotel deal iPad app because it is one of the best app they have ever created in the market. 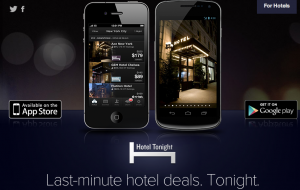 Later on, Hotel Tonight will expand this project on Android-based smartphone. Hotel Tonight app on iPad is created after the company got the projects with other Apple devices such as iPhone and iPod Touch. For each app offered on iTunes store, the users do not need to pay any charge. With free software given on iTunes, Hotel Tonight hopes that there would be more users downloading their apps. 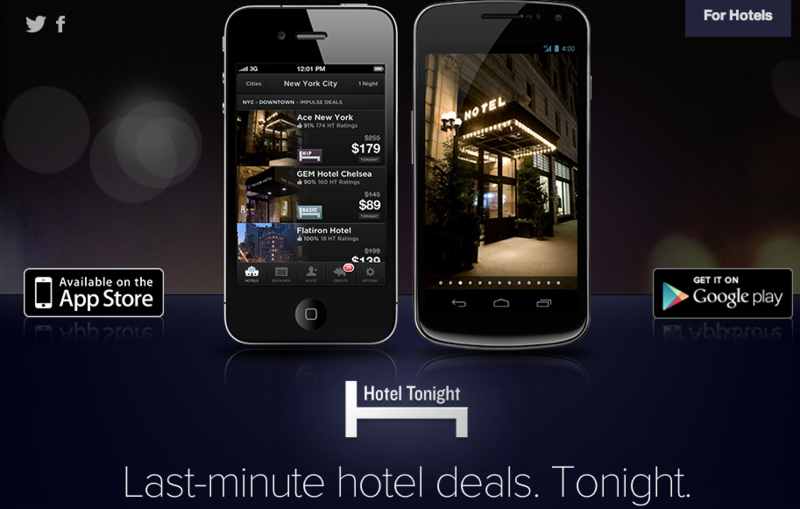 In the time where this article is written, Hotel Tonight has successfully expanded their app on Android. Android users can now download Hotel Tonight app on Google Play by paying for about US $25 and get the same service they give to Apple’s iOS users. Although this app helps lots of users to get right deal on American hotels but some of them still find it not too much helpful. On one side, travelers who really depend on this app could get what they want but on the other side, the other users feel there is only less motels, hotels and inns offered here and sadly, they still do not find what they look for although they have been waiting till 2 am. But, overall, the reviews on this hotel app on smartphone said that Hotel Tonight is really useful when people need urgent hotel to stay while their budget is limited.